BBC 4 is running three series of programmes this week, all of which are highly recommended. 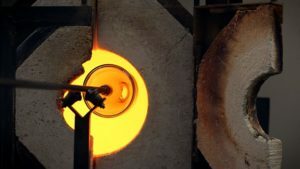 The first of these is called “Handmade” and follows three master craftsman as they manufacture objects in glass, metal and wood. There is no background music or narration, just the slow watching of a process unfold. The second series is “Handmade on the Silk Road”. 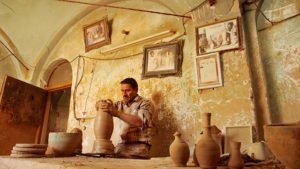 This comprises three films following a day in the working life of a weaver, woodcarver and potter in China, Uzbekistan and Iran. I have watched the first episode which uses a similar format to the Handmade series with no background narration. The camera captures the process from preparing the silk thread, to dyeing and finally the weaving, interwoven with some warm glimpses of family and community life. 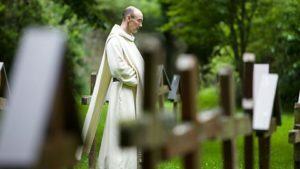 Finally, Retreat: Meditations from a Monastery is another “slow” documentary series, with three one hour programmes, each showing life in three different Benedictine monasteries in Britain (Downside, Pluscarden and Belmont Abbeys). The quietness and simplicity of the monks was very touching, exemplified by the thoughts of one (a carpenter) who “tries to make every action an act of prayer”.